Nepal at the Olympics is a history which began in 1963. The International Olympic Committee's official abbreviation for Nepal is NEP. Nepal has been in eleven Summer Olympic Games, and in three Winter Olympic Games. The country has never won an official Olympic medal. Bidhan Lama won a bronze medal at the 1988 Summer Olympics in Seoul, when taekwondo was an exhibition sport. 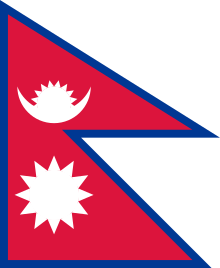 The Nepal Olympic Committee was formed in 1962 and recognized in 1963. ↑ IOC. "Nepal". Retrieved 8 August 2011.